We all know how tough it can be for independent businesses to compete with the likes of Amazon and Walmart. Corporate giants have bigger budgets, greater name recognition and a way of eclipsing the marketing efforts of their small competitors. Luckily for the underdogs, a recently-launched social media platform is leveling the marketing playing field. After all, Quipist knows what it’s like to be the little guy. As the new kid on the social media block, it’s working to make virtual life fairer and more relevant for its users. Quipist is bucking the trends of social media behemoths, whose feeds are largely dominated by algorithms and paid advertising content. Instead, it’s allowing its users to filter the content they’re interested in seeing. Consequently, Quipist users can control the type of news they read on their social media feeds. 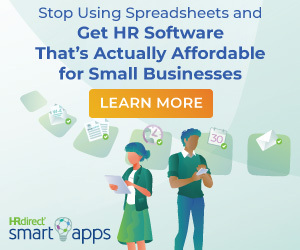 For small businesses, this is a marketing goldmine. It puts local bookstores on the radar of bookworms and helps up-and-coming restaurants grab the attention of foodies. It ensures that relevant content reaches the right audiences. Of course, it also benefits small businesses that lack large marketing budgets. Share nifty things clients have done or achieved with your products or services. Quipist offers some revolutionary marketing tools that sets it apart from the competition. Its Quipist Proxy is a powerful tool that helps build communities. Quipist Proxy helps make content go hyper viral by sharing relevant content to the right audiences. Instead of pulling people in to read content, it pushes content out to users who might be interested in it. Businesses can use this feature to lure potential customers in with targeted content. The best part? The proxy feature comes with Quipist’s premium account, which is currently free for members. Businesses can sign up for the promotion by joining Quipist and requesting a premium upgrade here. Quipist will eventually start charging for the upgrade. Businesses can use Quipist’s feature filter to focus on specific topics and identify fellow users who might be interested in their products and services. For example, a small business that sells stainless steel, environmentally-friendly water bottles can catch the attention of earthy, holistic types with newborns and toddlers. Users can narrow by content, hashtags and members. Both a company’s personal feed and Quipist’s public feed can be filtered. The public Quipist feed is an aggregation of all Quipist user posts. We all know the value of a repeat customer. But longtime clients can do more than personally support a company: they can also publicly endorse businesses online. The community-based Quipist allows referrals from a business’s customer base. Businesses can take it further by offering incentives (such as a percentage discount or draw entry) for customers who post Quipist reviews. This isn’t the only way customers can support stores. When a business posts the right content – which should be interesting, engaging and useful – existing clients will see it and share it with their own networks, thus expanding a message’s reach. This brings me to my next point: customer testimonials and feedback. Quipist is a wonderful platform for businesses to connect with customers and better understand their needs. Businesses should make their Quipist presence an open platform that supports dialogue. The benefits are two-fold: it provides market research, and provides positive online testimonials for potential customers. Businesses can use Quipist for customer support, too. For example, a business can create subaccounts dedicated to a particular product or service. Within those levels, it can provide support and updates on specific topics. 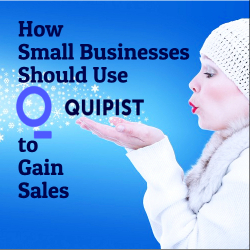 If you’re a small business owner who hasn’t yet created a Quipist account, consider joining. It has a lot to offer independent business owners who are working with limited digital marketing budgets. After all, when it comes to affordable marketing, you can’t beat free – and you certainly can’t beat fair.